When looking to get a quality kitchen countertop for your kitchen renovation, you have to look at the proper wide variety of surfaces that fit in well for your needs like a granite countertop, quartz countertop, or even a wood countertop. => If you’re looking for photos – click here for our main kitchen photo gallery. There are several countertop options that you can choose from. Each comes with its own surface and color features. You should compare all options together to get a good idea of which option might be right with your needs in particular. This is to give you a better total look all the way through. When choosing a countertop, you have to look carefully to see that you have a choice that fits in well with your kitchen and that will stand out quite well. All of these options are suitable for any shape that you want to use when getting a quality kitchen ready but you should at least look at how well it can be used in any situation. Note: The estimates for the costs of each countertop are based on the cost needed to get a material ready. The cost for installing such a worktop is not included. You have the option to install your worktop on your own but it will cost extra to get an experienced professional to take care of the process for you. Also, not all of these options are available for use through many providers. As you will read later on, some options are only used in an extremely small number of kitchens and are not as easy to find as other options. 1. How much counter space is best for a kitchen? 2. How tall should counters be? The guideline is at least 158″ x 24″ deep with at least 15″ of clearance above. To put that into perspective, that’s just over 13 feet of counter top length for a total of 26.3 square feet of counter top space. Ideally, you’ll have more if you have the space. One large island that’s 5 feet by 3 feet adds 15 square feet, doubling your counter top space. That explains why islands are so popular. The standard kitchen counter height is 36″ (3 feet). While you might be tempted to veer from this to accommodate your height (I know I’d like slightly higher counters), you must always follow building codes and keep resale value in mind. One way to create a custom counter to fit your height is to build a custom island. Better yet, create a multi-level island for better accommodation. Our island is much taller than 36″ which is very convenient for me. Granite is a popular type of worktop surface for how it offers a sturdy body. It is made of magma that has been pressurized over the years to produce a rock that resists scratches and heat. It can be sealed when installed and will resist stains throughout its entire life, thus creating a powerful body. It has a lighter tone for the most part with plenty of darker spots all over. 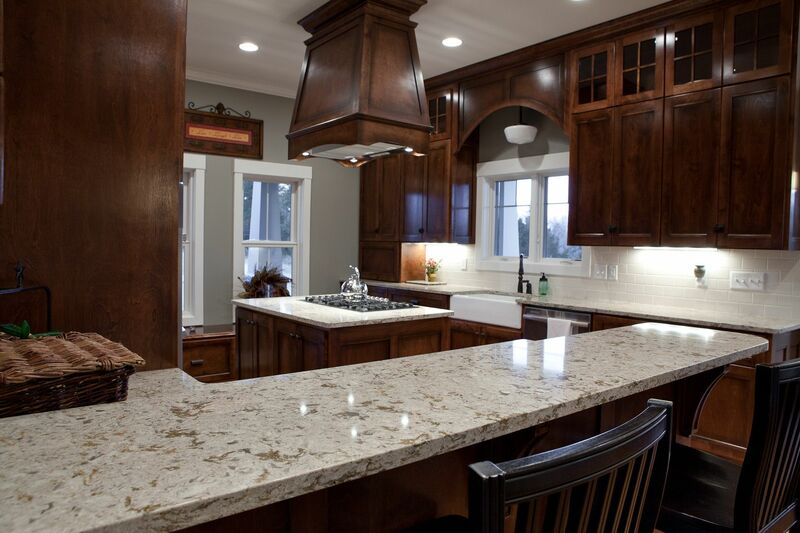 Granite is commonly used for how it is sturdy and is easy to clean off. The fact that it comes with a number of colors and always comes with a solid surface is especially important to its popularity. It is an antibacterial surface that is easy to clean off because of its lack of pores. This can handle heat quite well. It will not warp or weaken as a result of any intense amounts of heat added onto its body. So if you have small kitchen appliances on your counter that get hot, such as a toaster oven, it shouldn’t cause any problems. This is a very heavy material that is not recommended for use over cabinets or surfaces that might be too weak or light in weight. 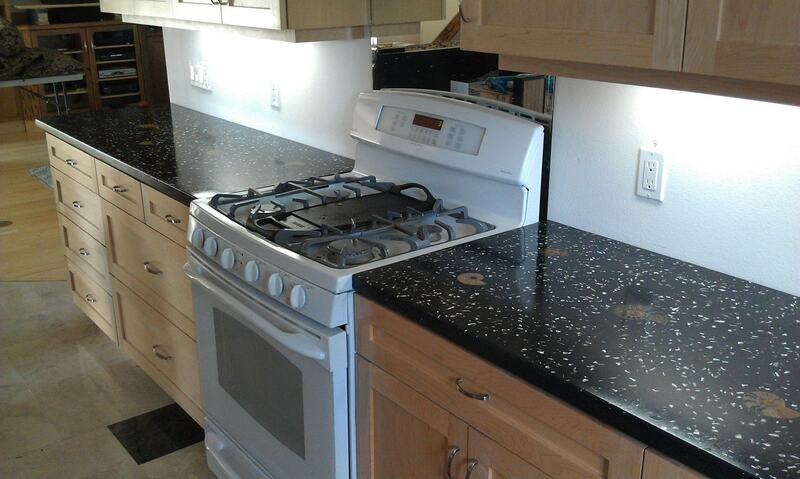 Granite is one of the more expensive types of kitchen countertops that you can get. It costs about $50 to $100 per square feet for you to use. Engineered quartz is a mostly stone that is similar to granite in terms of its appearance and properties. It offers a more uniform appearance in terms of its style. It is made with natural quartz that has been mixed with resin. This creates a stronger surface that can easily handle all sorts of fatigue. You might notice a series of stone-like bits all around its body as well. Engineered quartz requires extra processing to get it ready and easy to handle. You should look at how well it can be used when you’re aiming to get the most out of a surface that fits in right in your home. Quartz is an antibacterial surface that is easy to wash off. There are no limits as to what particular colors you can find quartz in. This is another very heavy option. The quality of the quartz will vary based on the efforts put in by the manufacturer to use the best possible resin. The cost of a quartz countertop will vary based on the quality of the job. It can cost from $50 to $80 per square foot depending on the quality of the resin and other natural materials used to make the engineered quartz surface. Marble is a rock that consists of a series of carbonite or calcite materials. It is typically made with a lighter color and features a series of natural stress lines all over its body. Marble is often used in bathrooms—particularly powder rooms—because it creates a sense of luxury in a spot that it is applied in. However, you can always get it added to a larger kitchen if you prefer. This could add a nice tone to your home if used right. This offers a more elegant look to any countertop it is applied on. It blends in well with most bases. It is cool on its surface and isn’t too hard to use. This can handle a large amount of water at any time. This is a softer stone and could be chipped if not handled carefully. It can wear out if you have far too much hot water on its surface over a period of time. You would have to use a sealant on occasion to ensure that the surface is covered properly and is easy to clean. Marble can cost a good amount of money to get. It can go from $100 to $250 per square foot depending on the design and quality of the worktop. Quartzite is a form of quartz that is converted into a new form through heating. Added compression is used to create a stronger body that is more detailed and can be easier to handle in a variety of situations. The added pressure reduces pores and creates a solid surface. Quartzite can come with a body that looks similar to traditional quartz. It may be light in its color and can add a refined look to any kitchen. This is a firmer and easier to maintain surface than a traditional quartz option. It can be found in many light tones. The sturdy body gives you a space that is easy to clean off. It can scratch if you are not careful. This works best if you seal it regularly as a means of protecting its natural body and appearance. Quartzite costs about $50 to $100 per square to get. A solid surface is made with a series of polyester and acrylic materials. It can be made in a variety of colors. The seams on such a countertop are also invisible. A variety of edge profiles can also be chosen. You can choose any kind of color that you want for such a surface. Some dyes should be applied to the material depending on the color you want. You can always ask for a very specific color when ordering such a material. The versatile nature of a solid surface countertop makes it capable of being used in a variety of applications. A surface is nonporous and smooth. It is easy to clean off. Any damages that develop can be sanded and buffed. Although it is easy to sand the surface, you should still be cautious around it as it can scratch quickly. Heat can pop the seams and cause discoloration. It is not very easy to stain a solid surface countertop. A solid surface countertop will cost around $45 to $75 per square foot. It might cost extra for you to get something with a special color depending on how exotic or unique it is. The same wood used on floors can also be used on countertops. Hardwood gives off a comfortable and peaceful feeling in any home to create a relaxed style that adds to the quality of any room. It can also be found in a number of grains and colors. You can also notice a series of beautiful lines all around the body of the worktop when everything is applied carefully. This will not scratch or stain quickly over time. It will continue to maintain its great appearance with age. You can order this in a light or dark tone. This must be oiled every two years on average to ensure that stains and damages will be less likely to develop. It does allow the wood to develop a beautiful patina if handled properly. This can scratch if you are not cautious. It costs from $20 to $150 per square foot to get a wood countertop installed. The cost comes from not only procuring the materials needed but also from getting the surfaces edged and cleaned out. The cost may also be higher if you use a stronger wood material that is a little thicker. This is especially the case if you have plywood or even bamboo wood that is a little stronger and dense. A laminate surface provides you with a beautiful stone-like surface without having to spend as much. With a laminate worktop, you will use a series of slim paper sheets that are affixed together with a special glue or epoxy. These paper sheets are designed with a particular pattern in mind to create a simulated stone or wood surface. There are no real limits as to what appearance a laminate worktop can take on. It can especially be used to look like natural stone materials. It is an antibacterial surface thanks to how it does not contain any pores. This is heat and scratch-resistant and can handle heavy amounts of wear quite well. This can be used in any kind of kitchen including a more contemporary option. Laminate worktops can peel if you do not maintain them well enough. A surface can burn or even melt if subjected to extremely hot temperatures. It may not create a shine similar to what you’d get out of a much stronger solid material. A laminate worktop can cost $30 to $50 per square foot. It typically costs more to get a better-quality option that will not wear out or burn. This is still a popular choice among those who are trying to find a solid body that looks like something that is typically a little more expensive. Soapstone is a softer type of rock that consists of talc. It can be colored in one of a variety of different tones. It has solidified over time to create a sturdy body. This is a dense non-porous surface that does not chip quickly. You can order this in a variety of textures. There are no toxic chemicals or other dangerous artificial features used in any soapstone worktop. There might be some inconsistencies in your worktop based on its texture and appearance. While it is non-porous, you must get it cleaned off regularly as stains can stick onto a surface quickly. You will spend about $70 to $120 per square foot to get a soapstone countertop material ready. Concrete has long been used in a variety of flooring setups but today it can also be used on a worktop. A concrete worktop will use a solid body that features a thick design. Various paint features and other decorative accents can be prepared in a concrete mold. You can get your countertop designed in practically any shape you want. There’s even the option to organize your countertop with a series of artistic designs on the top part. The seams on a concrete countertop are invisible. You must get this sealed off every year. While this can handle intense heat on its own surface, you must avoid using any waxes on the countertop as they can wear out from all that heat. It costs $65 to $150 per square foot for a worktop although the cost may be greater if you choose a thicker design for the surface. You might also have to spend more money if you want to get it prepared in a very specific shape. This is due to the need to create a very special type of mold just to get the surface prepared. Stainless steel is a sturdy material that has long been used in a variety of commercial kitchens. Today, it can be used in typical homes just as well. It contains chromium mixed with a steel alloy to give off a silver-like look all the way through. This is an antibacterial surface that is easy to clean off. It is a waterproof surface that takes in moisture and gives you enough time to clean it off. It can be used on many bases as it is light in weight. Stainless steel can handle intense amounts of heat and most acids without wearing out. This is cold to the touch. It is not necessarily designed with larger surfaces in mind. This could create an impersonal feel in your kitchen due to its appearance. Stainless steel costs a good deal of money to get. It can cost $70 to $100 per square foot in many instances. Limestone is a type of special mineral that comes from natural sources. It is based on calcite and aragonite and contains some carbon components in its body. It is noted for having a lighter color all around. This mineral has also been used by some kitchens as a cheaper alternative to other similar white-toned solid rock surfaces. 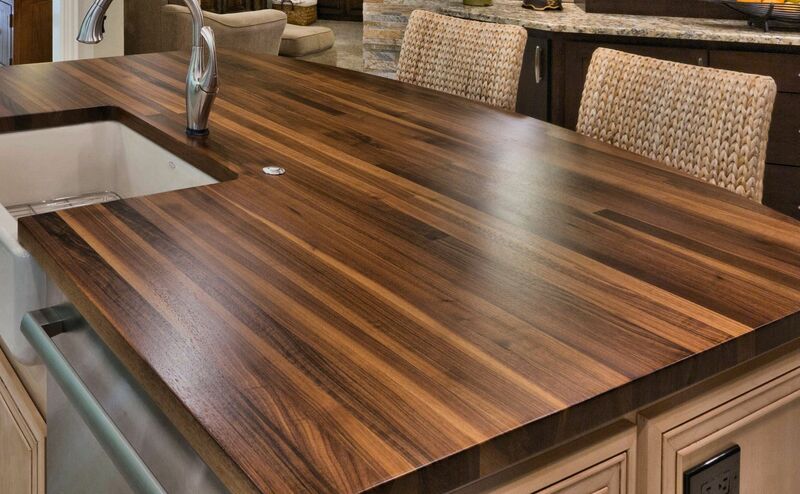 You may notice as you get the countertop ready that it has a few natural stress marks and lines all around. These come from the marine organisms that these are based on. This can last for a very long period of time as it is exceptionally strong. It will not scratch or chip. Limestone can be prepared inside a mold and can be shaped in any form that you want. You must clean off stains as quickly as possible. Even if you seal it, the pores can still collect stains. Avoid using vinegar or other acids on a limestone surface. It will deteriorate and the seams will be at risk of coming apart of it gets acids on its body. You can spend $50 to $75 per square foot to get such a countertop ready. This should be a little more affordable for your use than something that might be a little fancier. Tiles are often used on floors and walls but they can also be used on counters. With this, you can use a series of tiles in a variety of colors scattered around the surface. The attention to detail on your counter surface will be a little greater when you add tiles onto its body. This can be relatively rough if it is not sanded properly. You must check on how well the grout in between tiles is organized. It should be stained with a comfortable look. You could spend $40 to $75 on a kitchen countertop like this. The cost will vary based on the quality of the tiles that are being used. Glass is an attractive material to use on a number of worktops today. It adds a beautiful style with a light look. It is especially made with modern home designs in mind. You can get such a worktop ordered in any size or shape that you want. This is a smooth and non-porous surface that is very easy for you to clean off. This resists intense amounts of heat and could even be used alongside any countertop heaters. You can order a glass worktop in any color you want. You will have to clean off the countertop regularly. This is at risk of developing scratches. You would have to spend $50 to $80 to get a glass countertop installed. Recycled glass worktops are made with a series of old glass pieces that have been melted down and mixed together. You will notice a number of small bits of glass in a variety of shapes all around the countertop. This can create a detailed look all the way around. 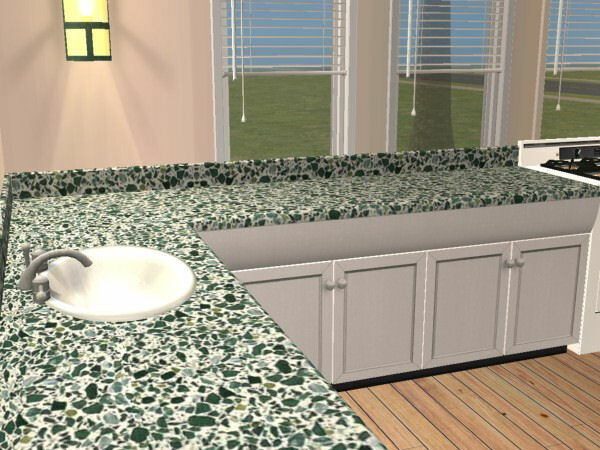 Every individual recycled glass worktop is unique in terms of its appearance. A worktop will be fully sanded down and smooth. 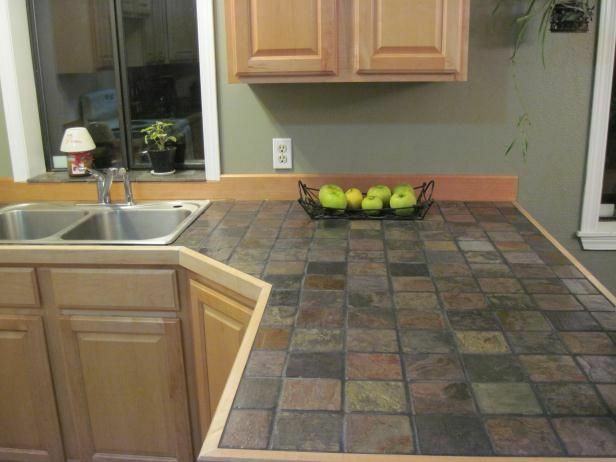 You can order one of these worktops in a variety of colors. The main base can be light or dark in tone. This needs to be cleaned and sealed regularly so stains and moisture will not get into the countertop body. 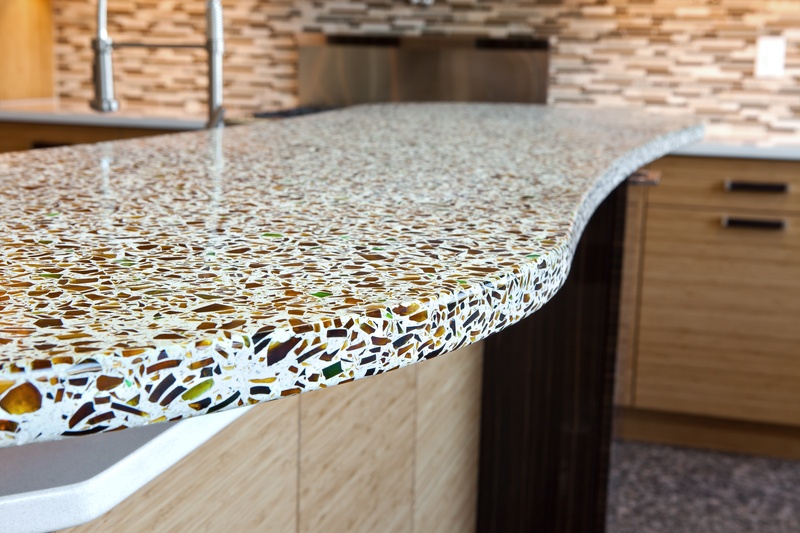 Recycled glass worktops typically cost the same as other traditional glass worktops. It costs $50 to $80 per square foot for such a surface. Onyx is a solid mineral that comes with a dense and detailed black tone although it can come with a lighter color when you cut it open or grind it into a series of pieces. It offers a strong body that has a deep look and offers a powerful body all the way through. It can be formed into a countertop through a solid frame or border that adds a strong design all the way through. This is a soft material that is easy to use and maintain. You can quickly apply a sealant onto the surface to create a comfortable body all the way through. This can come with a light or dark tone. This is a fragile compound in that it can be harmed by intense heat or sharp objects. You must clean off any stains that get on the onyx surface as soon as possible or else they will settle into the surface rather quickly. Onyx does cost quite a bit of money for you to add due to how it is a rare type of mineral that is not used in many countertops. It can go for $100 to $150 per square foot depending on the quality of the onyx stone being used. Terrazzo is a surface that features a series of marble chips that are mixed in a large body. These are often mixed in with an epoxy. This is a green option for how it uses recycled marble materials that have been cut up. The best part of this option is that it can be found in a variety of styles that are rather interesting. You can find it in one of many colors depending on the base you use. Also, the marble chips that are used here will vary in color. You could get five or more colors on your surface in some instances. This is prepared with a smooth and sanded body that will not weaken over time. It can be poured into any kind of mold you want. Stains are very easy to clean off on this surface provided that you take care of them early enough. This may contain a series of pores around the surface. You will have to get it sealed off regularly so it will not let in more water. Although it is a recycled compound, this will cost about $150 to $200 per square foot to get a terrazzo surface ready. Copper is known for having a very dark tone and is often used in a variety of cooking products. Today you can get copper applied onto your worktop. It establishes a darker tone with a brownish appearance. It fits in well alongside other wood-based materials all around your kitchen. A special finish can be applied on the top of the copper body. It can be prepared to establish a wood-like style but with a nicer shine. The shine will stick around for a while without requiring any further buffing to make it work. This can handle all sorts of temperatures. It is very easy to clean a copper surface. Copper has to be cleaned off regularly for it to stay beautiful. It is still easy to clean though. This can develop scratches if you are too rough on it. Copper is a rather expensive material to have on a countertop. It can cost about $100 to $200 per square foot to get copper added onto a surface. Zinc is a mineral that is noted for having a bright silver look. It is often made with an alloy that includes copper as a base. The silver coating over the surface adds a powerful and appealing look. The shine on a zinc surface will last for years to come. Zinc is also made with a smooth surface that does not require sanding or buffing. Zinc is a predominantly nonporous surface. While it is best to clean off stains quickly, they will not settle into the surface. This is a relatively soft material that can scratch if you are not cautious. It can experience some damages if you add far too much heat onto its surface. Zinc is very expensive for you to use in that it can go for $150 to $200 per square foot. The overall consideration for kitchen countertops is that they are made in a number of materials but some are clearly more popular. You are much more likely to find granite or quartz materials although you can always talk to your local installer about what options are available where you are. However, the options may be limited in some cases due to some choices being far too uncommon.